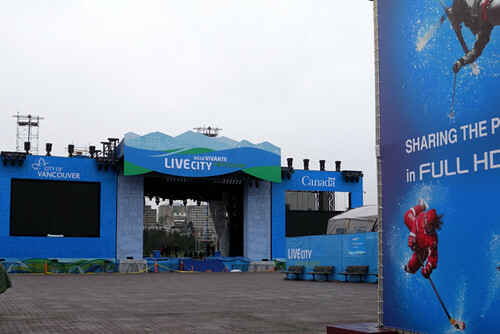 LiveCity for the Vancouver 2010 Olympic Games is the name for the public celebration sites that will be hosted around downtown Vancouver. Back in March cutbacks were announced but today the City revealed that it’s all about the party. 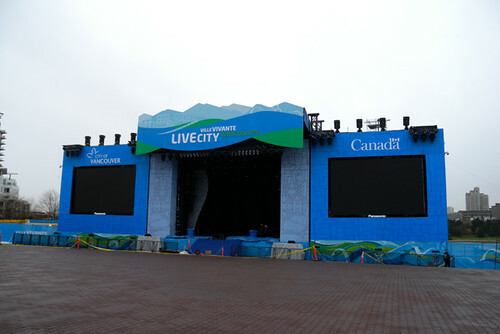 LiveCity Vancouver includes two dynamic celebration sites in downtown Vancouver that will be open to the public for family fun, entertainment, activities and more â€“ all free of charge – during the 2010 Winter Games. 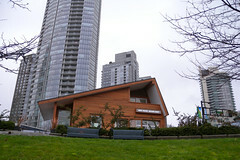 The heart of LiveCity will be two sites – at David Lam Park and Georgia Street, respectively – connected by animated pedestrian thoroughfares through Vancouverâ€™s Yaletown district. 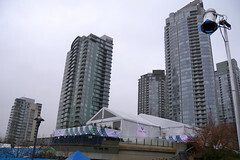 There will be two sites, LiveCity Yaletown and LiveCity Downtown. 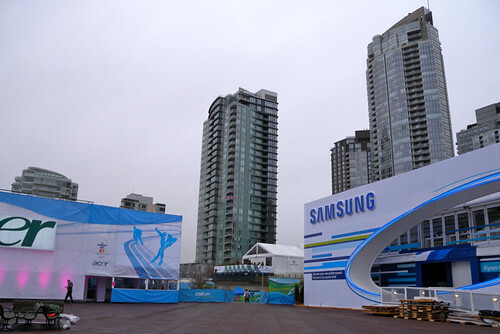 LiveCity Yaletown will close at the end of the 2010 Olympic Winter Games, while LiveCity Downtown will be open during both the 2010 Olympic and Paralympic Winter Games. 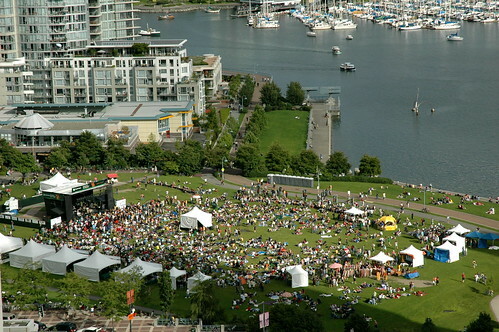 LiveCity Yaletown will have a capacity of about 10,000 and be alcohol-free while LiveCity Downtown will be able to accommodate around 3,000 and serve alcohol. Bands slated to entertain at the live sites include Wilco, Alexisonfire, Sam Roberts Band, Malajube and Blue Rodeo. 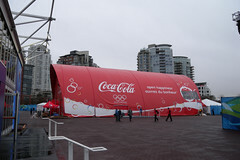 I’m glad to see that these free, public events are being planned and you can also check out satellite events in other cities in Metro Vancouver including a wide array of activities at Surrey‘s Holland Park during the Games. Just curious about security at the Live Sites. Will backpacks be checked before admittance? Do you foresee line-ups for security checks? Is there a maximum number of bags allowed? Any comments or further information would be very much appreciated. Thanks! 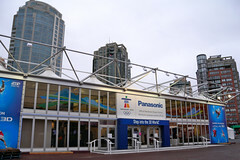 And Enjoy Vancouver 2010!